CP-3148 comes with ergonomic cushion grip features more efficient connections, but much less effort. Its adjustable impact wheel provides high and low settings for any type of termination and right impact to seat and/or terminate wires. Spare blade charmer at the end of the tool for convenient storing an extra blade. 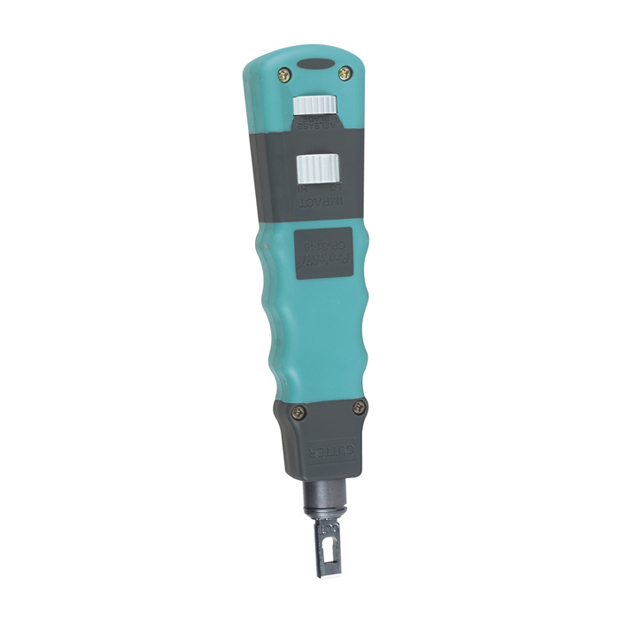 This punch down tool meets industry standard, and internationally accepted. Ergonomic cushion grip with duplex color design, molded to shape of hand provides comfort and easy operation, non-slip grip. ABS+TPR material, rigid handle provides excellent durability performance. Spare blade storage chamber in handle. Increased HI/LOW forces to meet demands of all Category cables through Cat6.